Something for the kids and something for the parents. For ages 4-12. Do your kids have a hard time with organized sports but still want an activity they can have fun with and have a great workout too? The Martial Arts is your answer. Most kids who do not find enthusiasm in team sports tend to always find excitement in Martial Arts. At USSD Yorba Linda know your child will have the time of his life in our engaging program. Character development is our primary goal here at USSD Yorba Linda Martial Arts. We use the exciting conduit of the martial arts to teach your child confidence, diligence, character, and manners. Let our past successes become your child’s success too. We teach our kids to have the Black Belt Attitude in and out of the dojo. Among other things, that means that they are expected to be respectful at home and at school. In fact, they are not allowed to test for their next rank unless they are doing well in school and at home. Expect to find top level professional instruction amongst students eager to learn the most modern martial arts available. Learn to kick, punch, block, evade, and defend yourself with ease. Our curriculum includes forms (choreographed moves), empty hand techniques, sparring combinations, boxing combinations, weapon defense, grab defenses and much, much, more. 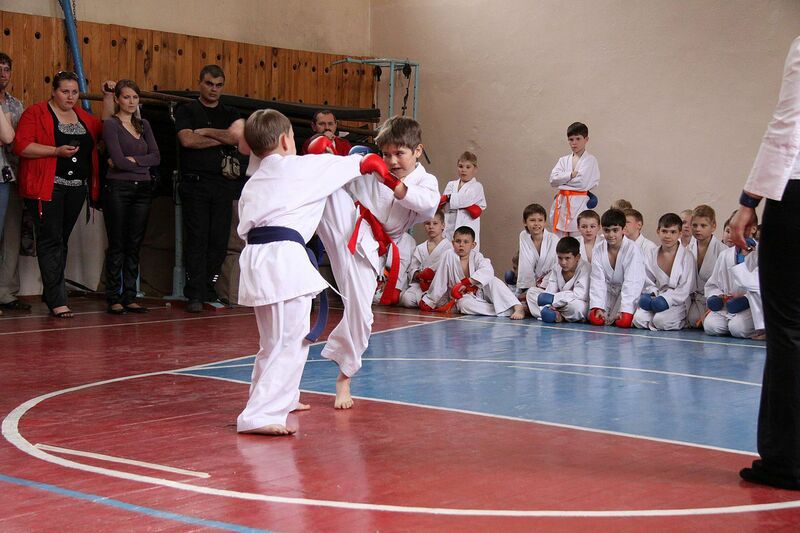 Our children learn the principles of the martial arts. Effort (diligence), Etiquette, Sincerity, Self-Control, and Character (virtue) is an example of our core principles that we teach our young adults. Our children will learn to build strength, coordination, flexibility, agility, and precision that will create a solid foundation to grow from. Expect your child to have fun and to achieve something awesome. Safety is essential to USSD Yorba Linda. Statistically you are much less likely to be injured in the martial arts than any other organized sport. The community at USSD Yorba Linda is one of understanding and cooperation. Team spirit and the understanding of safety is taught early and is developed outward from there. Shaolin Kempo, by nature, is easy to pick up and simple to understand in the early stages of training but offers a depth of training that can only be given by the most complex of the martial arts. It is a complete martial art. Teamed up with our professional and highly experienced instructors, it is a powerhouse of martial arts knowledge. For our Home School families we also offer group classes on Tuesdays and Thursdays at 11am. Perfect for getting in some PE time while learning vital self defense and life skills. We are currently a vendor for Inspire, iLead and Sage Oak Charter Schools and are open to joining others. "Your Training Begins Now! Receive a free test drive on us. No strings attached." AS AN ADDED BENEFIT TO OUR STUDENTS WE WILL PICK UP YOUR ORDER SO YOU DON'T HAVE TO PAY SHIPPING!